Here’s a first look at Muppets Most Wanted (in theaters next spring), starring literally all of Hollywood because when Kermit comes a-knockin’, you can’t turn him down. 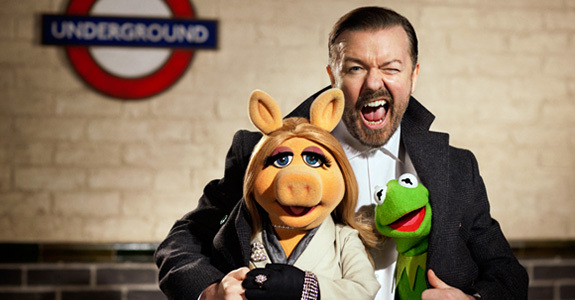 It’s the magic of the Muppets: No matter how cynical and jaded you think you are, you are powerless before a singing felt frog. Justin Bieber thinks he's John 'Die Hard' McClane!